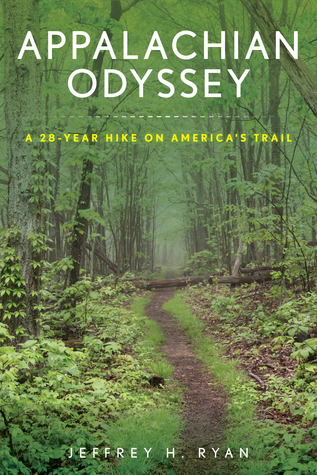 In the continual search for useful and inspiring books about the Appalachian Trail, we had to get our hands on Appalachian Odyssey for obvious reasons. 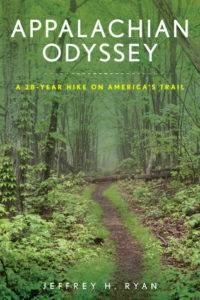 This book follows the author’s journey through the Appalachian Trail- a journey that took a mere 28-years. Not to worry, he wasn’t physically on> the trail for that long, but his journey was still impressive in it’s own right. When I first dove into this book, I was expecting to find a diary of sorts, but I was taken by surprise when I started flipping through the pages; pictures! Not gonna lie, I was a little nervous when I saw that this book was 300+ pages, so I was definitely relieved to see so many pictures, detailed maps, and illustrations. Things this book nailed: Ryan did a great job of finding unique facts about the sections of the trail. Not only that, but he had incredible pictures and maps to go with them. Considering he started the trail back in the late ‘80s, it’s a kick to see all of the retro gear. The reader gets great inside info about the trail, towns, and detailed advice on gear that is really useful. This book does an excellent job of putting you on the trail with Ryan, to the point where you almost remember hiking along side him. This book will make you hungry to hike the AT, and will also equip you with the knowledge of a veteran. Where the book missed the mark: Though Ryan’s personal stories were contextual and sometimes funny, they tended to run on. I found myself waiting for him to get to the point of a particular story, only to find that there wasn’t one. Many of the stories were flecked with hidden gems, but it took some digging to find them. All in all, I would definitely recommend this book to anyone preparing to hike the Appalachian Trail. It will get you excited to hike, and also provide a realistic look at what to do if life gets in the way of a thru-hike. If nothing else, it will inspire you to get started on your hike, regardless of your current life circumstances.